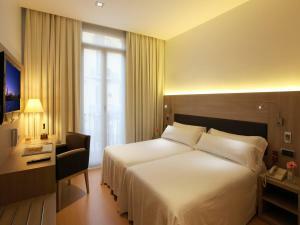 Hotel Lleó is situated next to Barcelona's Plaza Catalunya and the famous Las Ramblas. 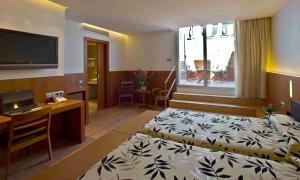 It has a small rooftop pool with sun terrace and loungers, free Wi-Fi access and rooms with flat-screen TVs. 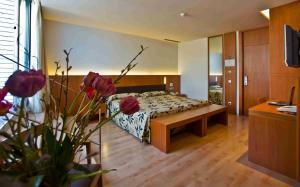 The Hotel Lleó is elegantly decorated with polished floors, glass features and attractive lighting throughout. 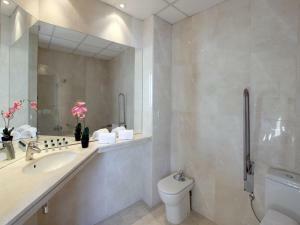 Its air-conditioned rooms are spacious and have fridges and satellite TV. The restaurant serves a range of Mediterranean cuisine and features a glass roof. It also serves a daily breakfast from 07:00 until 12:00. The Lleó has a lounge area and snack bar, where guests can relax with a drink. 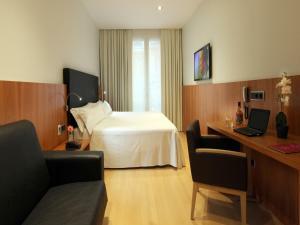 Hotel Lleó is within walking distance of many of Barcelona's attractions and Las Ramblas is just a minute's walk away. The nearest Metro Station is 100 metres from the hotel and connects guests to sights such as Gaudí’s Casa Batlló and the Sagrada Familia, within 10 minutes. 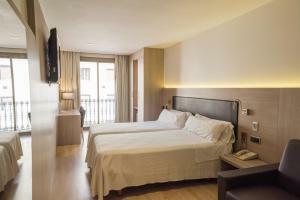 For reservations of more than 5 rooms, a prepayment is required: once the reservation has been made, the hotel will contact the customer to agree on the payment method. Please note that the rooftop pool is open from 07:00 until 20:00. Its measurements are 7.85m x 3.65m x 0.9m. Please note that the hotel will check the validity of the credit card used prior to arrival. Each air-conditioned room has free Wi-Fi, a TV, a mini-fridge and a safe. 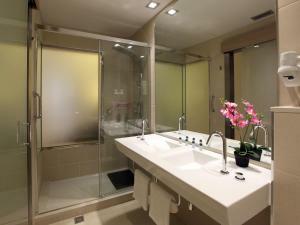 Bathrooms come with a shower, hairdryer and toiletries kit. 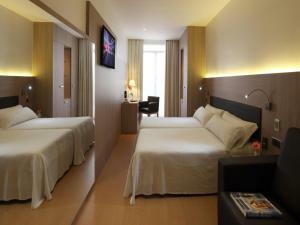 Rate: € 148.41 ... € 185.78; select dates below to get current rates. 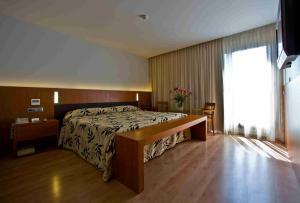 Rate: € 94.00 ... € 238.00; select dates below to get current rates.